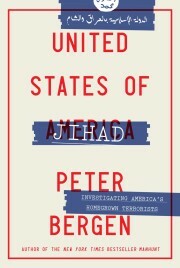 CNN terrorism analyst Peter Bergen has been studying Osama bin Laden and his operations for several years and is the author of an upcoming book on the man the United States suspects in the September 11 attacks on New York and Washington. Saturday, he discussed the geography of Afghanistan and bin Laden’s links to the country with CNN anchor Kyra Phillips. PHILLIPS: You and I were talking about this a little earlier on, about these mixed signals that we seem to be getting from the Taliban. Why don’t you go into that a little bit more? BERGEN: I’d say, like any movement, the Taliban historically is not a monolithic movement. I mean, there are splits between moderates and hard-liners. And I think in some of the mixed signals you’re seeing from Afghanistan — “We’ll never hand him over,” or “Perhaps he should voluntarily leave” — reflect perhaps a split between the moderates and the hard-liners. It seems that the hard-liners in the last year or so, as a general proposition, have got the upper hand in Afghanistan, and we’re again seeing statements from Mullah (Mohammed) Omar that he won’t hand over — Mullah Omar being the head of Taliban — he won’t hand over bin Laden. So I think the mixed signals reflect a split within the movement, a debate about what to do. PHILLIPS: All right, well, let’s talk about historical hangouts. Let’s go into Yemen, and this is where his family is, correct? BERGEN: Well, the bin Laden family ancestral home is in Hadramawt, in southern Yemen. Bin Laden’s father left Yemen in 1930 to go and find his fortune in Saudi Arabia, so there are a lot of family links to Yemen. In fact, quite a lot of people in bin Laden’s organizations are Yemenis or Yemenis who then moved to Saudi Arabia and now have Saudi Arabian citizenship. Bin Laden in 1996 told an Arabic newspaper that he was contemplating moving back to Yemen. And in 1997, indeed, a delegation of bin Laden clerics related to bin Laden went to Yemen and talked to some tribal chieftains about maybe bin Laden moving back to Yemen. As it turned out, nothing came of that. But Yemen is one of the few places that bin Laden has a lot of contacts. Of course, it’s very unlikely that he would leave for Yemen right now, because leaving Afghanistan would expose him to all the forces that are looking for him. PHILLIPS: Let’s take a look at the spot on the map — Jalalabad is the next spot we’re going to move over to. Now, this is where you interviewed bin Laden, correct? BERGEN: Yes, in 1997, Peter Arnett and I went to Jalalabad, in eastern Afghanistan, to interview bin Laden for CNN. That was the area in which he was living at that time. Of course, he wasn’t settled in one place at that time. His three wives at that time were living near Jalalabad in a small town called Haddah. …And bin Laden himself was moving on a pretty much daily or nightly basis from place to place. But Jalalabad was where he settled when he first came back to Afghanistan from his previous place of residence, the Sudan, in 1996. He lived in Jalalabad until 1997, and then he moved to Kandahar. PHILLIPS: All right, talk a little bit about Kandahar. BERGEN: Kandahar is effectively the political and spiritual heart of the Taliban movement. As you know, Kabul is the capital of Afghanistan, but all decisions really emerge out of the southern city of Kandahar, because that is where Mullah Omar, the reclusive head of the Taliban, lives. And basically, Mullah Omar is the last word on Taliban foreign policy. We don’t know a huge amount about the actual inner workings of the Taliban decision-making process, but one thing is clear: What Mullah Omar says goes. PHILLIPS: All right, let’s move along to the next spot on the map here. Oruzgan is where we’re going to take our viewers to right now and talk about this area specifically. Now, bin Laden is known to have training camps here, correct? BERGEN: I spoke to Dr. Abdullah, who’s the head of the Northern Alliance fighting bin Laden, last year. And he said Oruzgan was one of the places that bin Laden had training camps. If I was bin Laden and I was trying to avoid being captured, Oruzgan would be one of the top places on my list that I would go to, because as you can see from the map, it’s very far from any of the borders of Afghanistan. It’s about as far from any border that you can see. It’s also an area of mountains. It’s a very underpopulated area. It’s a natural place that would be on a list of places that he might go to. PHILLIPS: Another spot — and this is the site of bin Laden’s first major engagement — Jaji. Let’s bring this up on the map and talk about this spot. What can you tell us about Jaji and the significance? BERGEN: Jaji was a very significant moment for bin Laden and the group of Arabs that he gathered who were fighting the Soviets during the ’80s war there. Jaji was the first time that bin Laden really engaged in a conventional battle against the Soviet forces. By a myriad of different accounts, bin Laden and a group of about 30 Arabs stood their ground against a conventional Soviet attack of about 200 Soviet troops. This siege went on for about a week or two, and bin Laden eventually retreated. But it was significant psychologically for him, because it was seen as the first time that he and his Afghan Arabs had really stood up against the Soviet Union and held their ground against a fairly strong force.